There will always be those who push the boundaries of the accepted norms of design – and they are invariably the ones who make the most headway for innovation and new ideas. When someone looked at a roll of wallpaper and thought to hang it on the ceiling they defied the purpose of this design product by its very name. Yet it is not only possible, but also considered to be somewhat avant-garde in design circles, to hang wallpaper on on the ceiling. Some use it to add a texture, while others use it to add a certain design, and others still use it to spruce up a room that needs a real hit of flair. The rules for hanging wallpaper on the ceiling are essentially the same as normal but your ceiling becomes your base instead of the wall. You’ll need to decide which way to hang the wallpaper if it has a strong pattern or texture. Generally we recommend you hang the wallpaper so its best viewing position is from the main entry into the room. If it’s a bedroom you might opt for the best view of the wallpaper once you’re lying relaxed in bed. If you’re lucky enough to have a lounge or living area with large areas of glass you might need to change the orientation of the wallpaper so the main light runs along the wallpaper length. This will help to hide the joins in the wallpaper. You'll need to ensure that the surface area is clean and measure properly before cutting. With new wallpaper technology you can now get ‘paste the wall’ wallpaper where you past the wall, or in this case the ceiling, rather than the wallpaper. For most new to wallpapering, paste the wall wallpapers are much easier than pasting wallpaper and letting it rest. 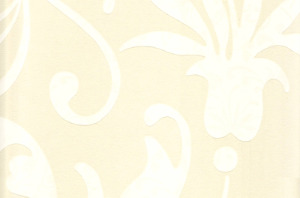 Once you’ve cut and pasted the wall or wallpaper, depending on the type you have, the next step is to apply the paper. This is a two person job where one will place the wallpaper and the other will hold the paper still waiting to be hung. As you go, work out any bubbles showing through – this also lets you clean off any excess glue along the way. Next time you look at wallpaper you might just be looking at it in a whole different light – literally. This entry was posted in DIY/Homeowners Tips and Advice, Wallpaper. Bookmark the permalink.